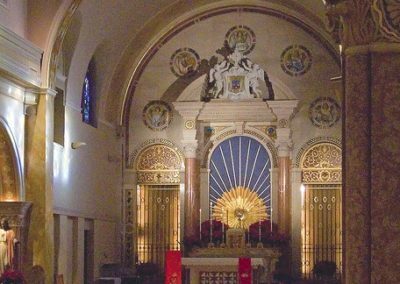 The Discalced Carmelite Sisters called upon the Conrad Schmitt Studios to update the deteriorated and outdated decorative scheme in their chapel and restore their beautiful stained glass windows in St. Louis, Missouri. After a comprehensive evaluation, it was clear that the Studio team would need to take a more holistic approach to the challenge. Decorative accessories displayed aging and dated, yellow and orange paint and finishes. 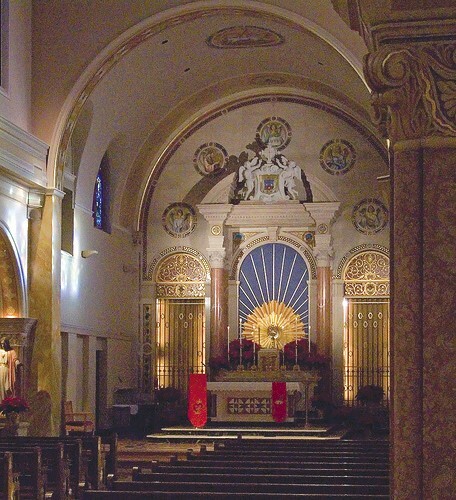 Interesting architectural features like Romanesque arches, marble and terrazzo floors, intricate marble shrines and altars, and a coffered ceiling all needed attention. Age had even taken its toll on their beautiful stained glass windows. Working closely with the Sisters to formulate the plan and determine a decorative scheme, CSS artists began stabilizing the substrate with plaster repair and fiberglass. 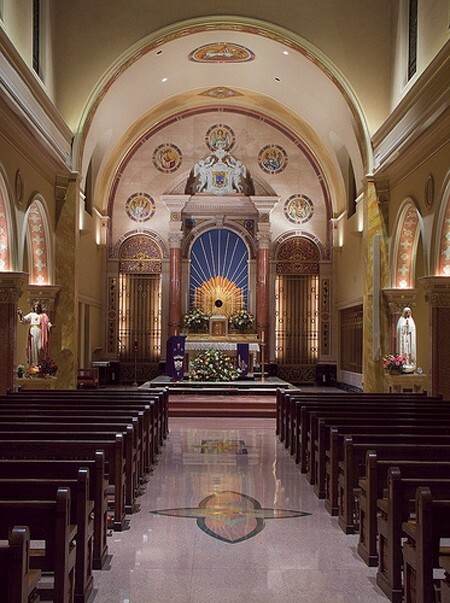 Other facets of the project included the creation of faux mosaics, stenciling, glazing, gilding, pew restoration, marble cleaning, and the restoration of their Infant of Prague shrine. 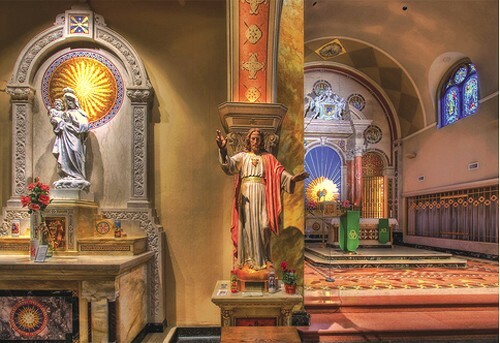 In addition to the conservation of their stained glass windows, CSS artists also designed and fabricated two new windows that complemented the existing traditional-styled glass. 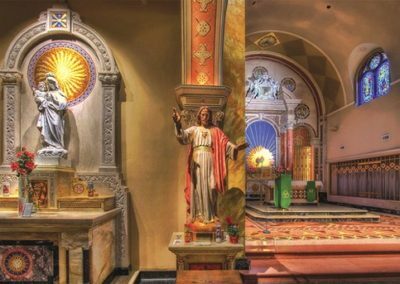 New architectural and specialty lighting was installed in the chapel to highlight shrines, tabernacles, altars and the restored Stations of the Cross. 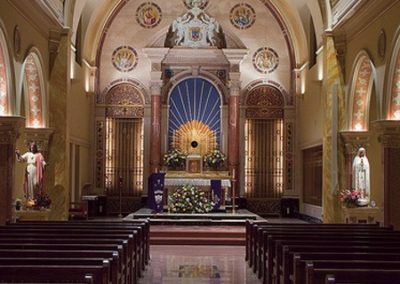 The finished project exceeded the original challenge and expectations of the Carmelite Sisters and the chapel is a beautiful space for prayer and worship.